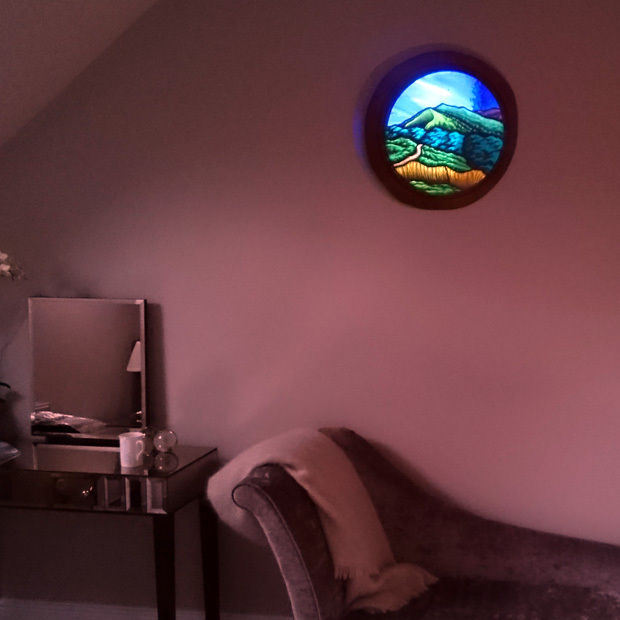 This stained glass window adds the finishing touch to the master bedroom in a former Oast House in Martley, Worcestershire. 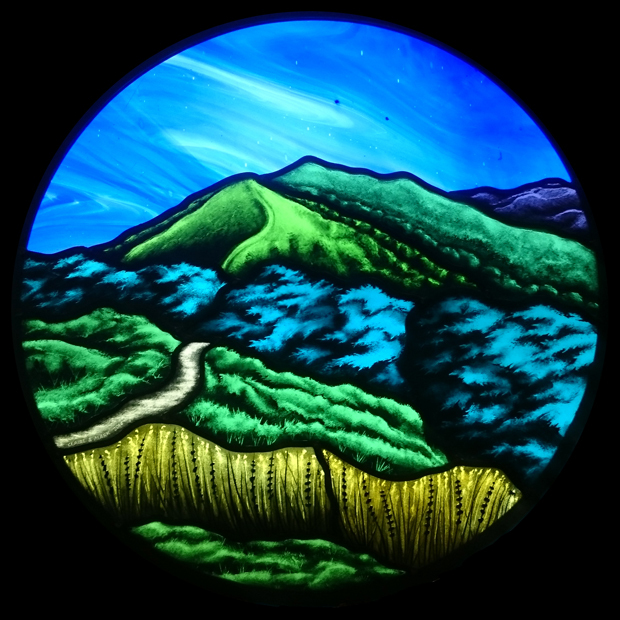 The inspiration for the window is a scene of the Malvern Hills from a photograph taken by the client. The hills are a beautiful part of worcestershire and are very special to the client as they visit them often and they can be seen from there house. 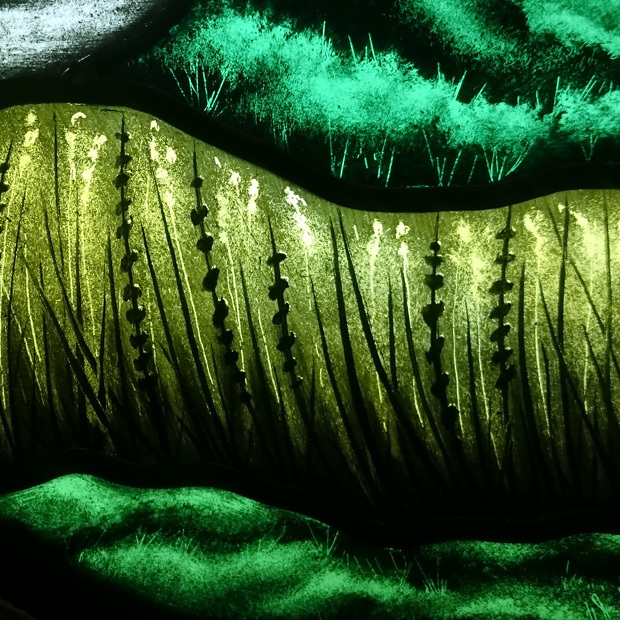 All of the glass in the window is English Antique Glass & has been painted by Aidan Mcrae Thomson.